Expert Preparation for Police Professionals! Police Assessment Center Exercises -What You Need to Know to Score Your Best! Police Sergeant - Lieutenant - Captain and Higher - Here are the Top Professional Resources for Assessment Center Preparation. Assessment Centers are very competitive! Ask anyone who has been through an in-basket, role play or leaderless group exercise. Their advice will be - don't go into an assessment center unprepared! Promotion Written Assessment Center Exercise Preparation. Is Oral Board Coaching Right for you? Are Police Chief Coach Services Right for You? NEW RESOURCE - Mastering the Assessment Center Process - by Dr. Linsey Willis. Order Mastering the Assessment Center Process today! Enter Your Assessment Center with a POWERFUL Document - a Top-Quality Resume! FREE - Copy of a Best Selling eBook - Police (Combat) Resume Writing Techniques. For a limited time YOU can claim your FREE copy of my eBook - Police (Combat) Resume Writing Techniques - along with sample resumes and cover letters for entry level to Chief of Police - just by signing up for our newsletter. You will also be able to take FREE sample exams from popular police textbooks! You can unsubscribe at any time. Here is our Privacy and Security Policy. Police Assessment Center Information to Help You Find the Coaching and Preparation Resources You Need! Mastering the Assessment Center Process - by Dr. Linsey Willis. Order Mastering the Assessment Center Process today! Tools for Success - Preparing for Assessment Centers - by Rick Michelson. Promotion to Police Sergeant, Lieutenant, Captain and Beyond - check out these great PoliceLink Articles by Asst. Chief Bill Reilly (ret). Trying for Deputy Chief or Assistant Chief? If so you MUST read this article, Succeeding as an Assistant Chief. The Police Assessment Center: Important Keys for Success - From FSP Books & Videos. Best Practices in Assessment Centers - PDF by Michael D. Blair. Police Assessment Center and Promotional Testing Training - by Tina Lewis Rowe. Monster.com article on the deceptive nature of In-Basket police assessment center exercise. KSA - Knowledge, Skills and Abilities - Police Assessment Center Workshops. Free Book with Online Police Promotion Testing Membership - The Naked Truth About Assessment Centers in Police Promotional Testing. Assessment Center Promotional Testing - Dr. Larry F. Jetmore. Strategies for Answering Situational Questions - Dr. Larry F. Jetmore. The Police Assessment Center: Important Keys for Success: What You Need to Know and May Not Have Been Told - by Barry T. Malkin. Police Assessment Testing: An Assessment Center Handbook for Law Enforcement Personnel - by John L. Coleman. A Preparation Guide for the Assessment Center Method - by Tina Lewis Rowe. The Assessment Center Handbook for Police and Fire Personnel - by Charles D. Hale. 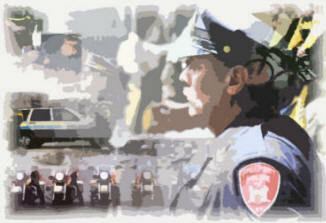 Maximum Perfomance in the Law Enforcement Assessment Center - by David M. Morris. Assessment Center Strategy and Tactics - by Michael Terpak. Read more about their company's offerings for assessment center practice with the Police Promotional Testing Course. 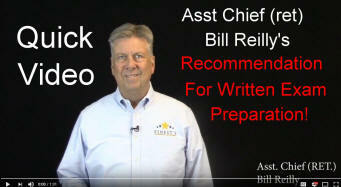 Visit Finest's Professional Development and give Bill a call today to see how he can help you prepare. Review his material on Police Assessment Center Oral Board Coaching and Preparation. Read more about her offerings for Police Assessment Center Preparation.